If you are looking for versatile markerboard surfaces for your office or classroom, consider ordering a Porcelain Steel Dry Erase Sheets from DryEraseBoard.com. This unique markerboard surface comes with self-adhesive backing for easy installation. Simply apply the Porcelain Steel Dry Erase Sheets to an existing dry erase board for a fresh, clean writing markerboard surface. 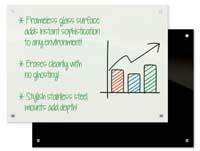 When you use the smooth Porcelain Steel Dry Erase Sheets as a dry erase board, you�ll get the same great quality and clear display that you�ll get with our other markerboard options. 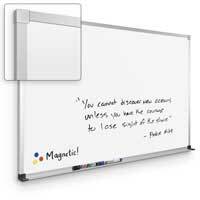 This revolutionary markerboard surface is a great way to update old dry erase boards in your space. 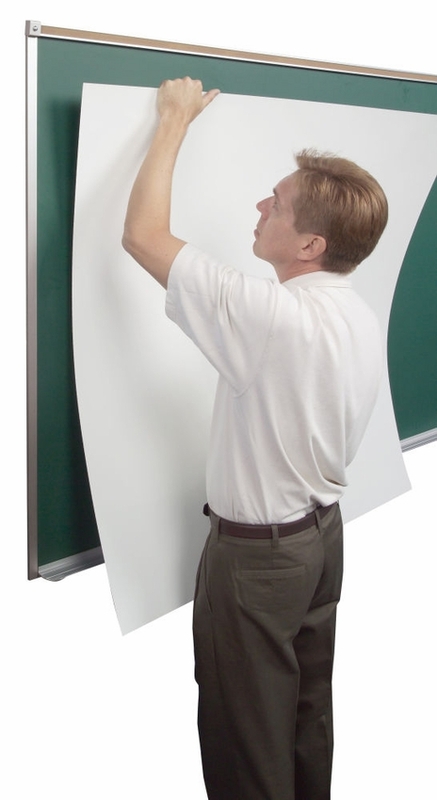 If your current whiteboards have dents, scratches or stains, you can quickly and affordably update them by applying the Porcelain Steel Dry Erase Sheets over the existing board. 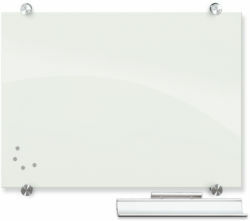 At DryEraseBoard.com, you can purchase this sticky marker board in a variety of sizes to match your current dry erase board surface. Purchasing a replacement surface is generally much more affordable than purchasing a completely new dry erase board you�ll need to mount on a wall. Best of all, the installation couldn�t be easier. Simply remove the protective sheet to reveal the self-adhesive backing. Then mount the skin onto the existing board. No glue, contact adhesives or delaminating supplies are necessary. 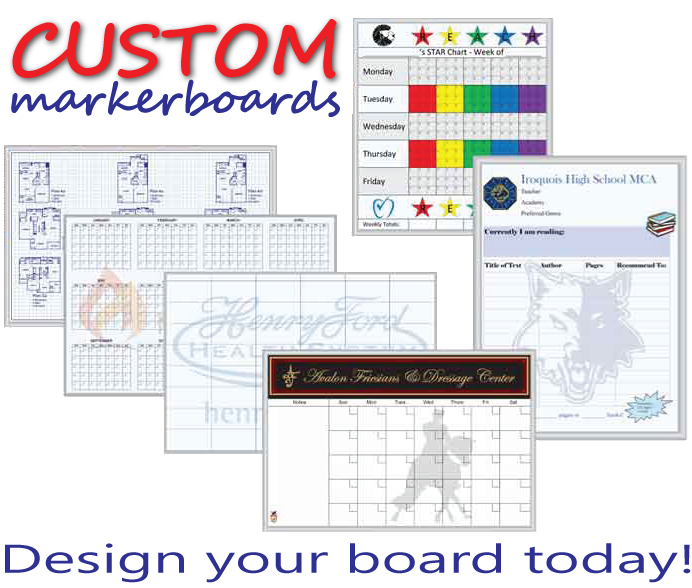 Each of our dry erase white markerboard sheets are made from porcelain enamel and are crafted from 24-gauge steel with a furnace-fused chalkboard or markerboard surface. This is one of the highest quality whiteboard surfaces available as it won�t dent, stain or scratch. 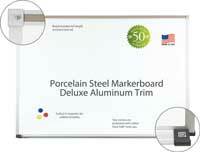 In addition to coming with a 50-year limited warranty, Porcelain Steel Dry Erase Sheetss are also TAA compliant. 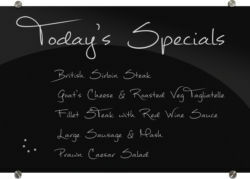 Order your Porcelain Steel Dry Erase Sheets today to get a sticky marker board that�s affordable, easy to install and will last for decades.